Some places will charge by the hour, and some will charge by the job. It helps to know just what is wrong with your computer so you can discern which will be cheapest for you. If you got a really simple problem, then you'll want to pay by the hour, because taking the flat rate for something small may cost more. Things like virus removals should always be a flat rate because they tend to take some time to complete properly. This is a huge one. Make sure they warranty their work, because if they break your computer further or it breaks down again right when you get it back, and it's not warranted, then you're out a lot of money and you don't even have a working computer. A good company will warranty their work for at least 6 months and will replace free of charge anything that they break while repairing it. You don't want to be waiting weeks to get a new hard drive installed do you? Ask what kind of turnaround times they have for your repair. Most repair jobs only take a few hours at most once it's actually started, so keep this in mind. Extra time can come from them not starting your repair because of previously pending jobs, or having to ship off your computer to be repaired by some other place. This is an add-on to #3, if a computer repair place can do everything without leaving their store, then that will improve the turnaround time and you'll get your computer back quicker. Companies sometimes have to send your computer to a manufacturer for certain jobs because the manufacturers know best how to handle certain things and always have the necessary parts. So be sure to ask if everything can be done in house, because if it can, then you'll get your computer back that much faster. Computer manufacturers have certification programs for all their stuff. Be sure to ask if a tech is certified to repair your brand of computer. For example being certified to repair a Dell computer doesn't necessarily mean that they know how to repair and Asus, Sony or HP computer. 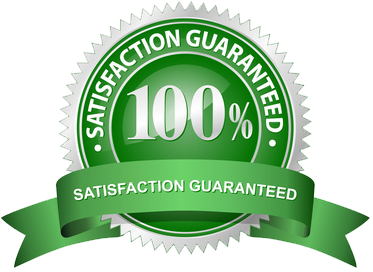 Certification means that they know what they're doing with your computer specifically, and has the added bonus of not having to be shipped out to the manufacturer so you'll get your laptop or desktop computer back faster. Large companies like Best Buy are definitely not always the safest option. Just because they are big enough that they can be accountable for anything that goes wrong doesn't mean they know what they are doing. It will always come down to the technician, not the size of the shop. In some cases a local computer repair shop can employ more techs than the big box guys per store. Every store though, even within a chain, is not the same. So again be sure to ask all the right questions. Google, Yahoo and Bing are great places to find reviews and research what people have to say about each local computer repair company. Take a look at their website and look for information on the computer repair you need. Social media, like Facebook is yet another way of researching to find a computer repair facility that meets your needs. When entering a local computer repair company take just a moment to pay attention to the environment. Is it clean? How are the employees dressed? Did they greet you with smiles and kind words quickly? Are you surrounded by the latest technologies or piles of old PC parts and dust? How a shop looks and feels tells you a ton about how it's ran. If you’re not comfortable there your computer might not be as well. Well, those are some things to look for in a local computer repair shop. If you follow these guidelines you can rest assured that your computer will be in good hands and back in yours in no time.